You and I know when to speak and when to hold the tongue, but Old Man Coyote doesn't. He has no tact. They're all the same, these tricksters; they have no shame and so they have no silence. 'Did you hear what Dunphy said?' is probably the starting point to a discussion that most Irish people have been involved in at some stage. He was clickbait before the internet even existed. You could argue that his time has passed, but in some ways he was a man ahead of his time, well aware of the power of the sound bite. In terms of what he was being commissioned to do, however, it has been some time since Dunphy has appeared fit for service. 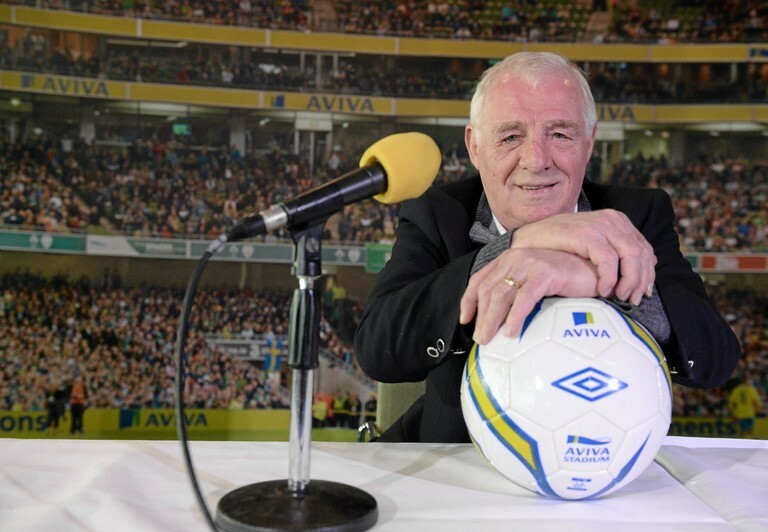 Although he has claimed that RTÉ were keen to retain his services, offering a "small" rise in an effort to tempt him, Dunphy's particular style of punditry appears at odds with what the broadcaster's new Head of Sport Declan McBennett has in mind for his department. [Pundits] can be critical of formats, structures, tactics and systems but they can not be critical in a personalised way of individuals. I have no time for, nor will I tolerate, personal attacks on individuals. Assuming he employs a similar rationale when considering the output of RTÉ's soccer coverage, does Dunphy really sound like the kind of individual suited to analysis that concerns itself primarily with, well, analysing? As for the "personal attacks on individuals," a poll recently carried out by Balls reveals just how important these moments had become to viewers of RTÉ's coverage. It doesn't take a significant leap of the imagination to ascertain then where Dunphy and Mourinho share a similar sense of tiresome mischievousness. Without wishing to engage a discussion that seeks to assess the pros and cons of Mourinho's managerial capabilities in terms of how they manifest themselves on the pitch, or his past successes therein, this pre-season has demonstrated the very worst of Mourinho's habits; talking not only for the sake of talking, but to pursue an agenda that seems far-reaching, and scarcely concerned with the betterment of Manchester United. Consult the websites of Britain's leading newspapers, and it is Mourinho who has been covered in the greatest detail. In spite of luminary contemporaries like Pep Guardiola, Jurgen Klopp, Mauricio Pochettino, or even recent additions to the Premier League like Unai Emery or Maurizio Sarri (although language may be an issue here), it is Mourinho that remains box-office. 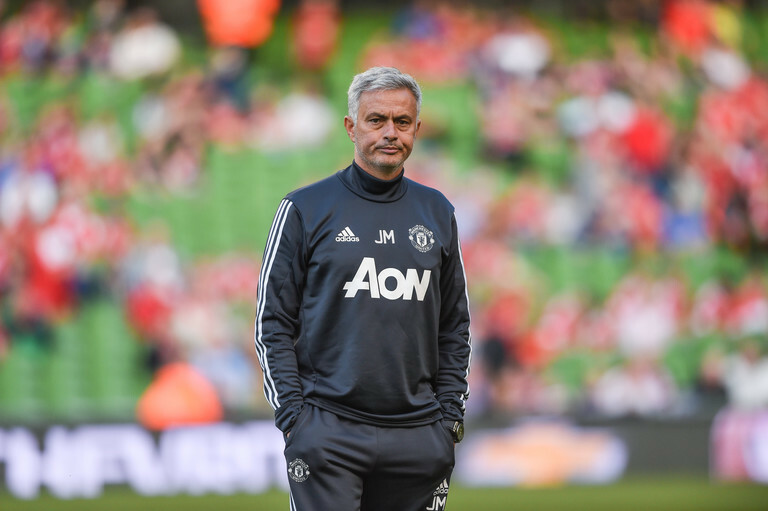 Since Sunday, The Guardian have published six different stories offering the thoughts of Jose Mourinho on everything from this pre-season being doomed from the outset, to the ongoing uncertainty surrounding Anthony Martial. It begs the question; have we fallen into a scenario where anything the Portuguese says is newsworthy, or, is he purposefully (and successfully) chasing this interest himself? Truthfully, it appears to be a mixture of both. It is, after all, at the boundaries where trickster is at his very best. The process of aligning human characteristics to those of Hyde's trickster requires careful specification. A feature of most civilizations at one point or another, no single person could possibly embody the role whole. While [tricksters] are often smart, they have a sort of "rudderless intelligence," responding to situations as they arise but unable to formulate any coherent, sustainable long-term plan. They are masters of the empty gesture, and have a glib facility with language, stripping words of the glue that normally connects them to feeling and mortality. Finally, they lack both remorse and shame for the harm and hurt that trail behind them. It might be right to say that trickster, like the psychopath, has a "rudderless intelligence," but if so it is a useful intelligence, for it continues to function when normal guidance systems have failed, as they periodically will. There is, of course, good reason to be cautious when glib and cunning human beings appear on the scene. But it must also be the case that a society, to preserve the status quo, will slide an image of the psychopath over the face of the trickster to prevent real contact. This real contact that we can never be certain of when contemplating Mourinho is what keeps the train on the tracks. Akin to another trickster-ish figure Bob Dylan, even the most asinine of comments tends to possess a degree of uncertainty and wonderment. While this may appear relatively straight-forward, the problem is that Mourinho is never likely to reveal the actual reality of either. What is it he would like? It seems to change with the wind. What is going to happen? That'll be decided retrospectively; depending how Mourinho and Man United get on, and how the Portuguese perceives it. Trickster is the creative idiot, therefore, the wise fool, the gray-haired baby, the crossdresser, the speaker of sacred profanities. Where someone's sense of honorable behaviour has left him unable to act, trickster will appear to suggest an amoral action, something right/wrong that will get life going again. Trickster is the mythic embodiment of ambiguity and ambivalence, doublesness and duplicity, contradiction and paradox. Trickster belongs to polytheism or, lacking that, he needs at least a relationship to other powers, to people and institutions and traditions that can manage the odd double attitude of both insisting that their boundaries be respected and recognising that in the long run their liveliness depends on having those boundaries regularly disturbed. He is the character in myth who threatens to take the myth apart. He is an "eternal state of mind" that is suspicious of all eternals, dragging them from their heavenly preserves to see how they fare down here in this time-haunted world. Where Jose Mourinho was once Dorian Gray, the Portuguese is now more suitably the image in the portrait. We don't want to look at it, but we do anyway.